With McCormick spices. No MSG. No artificial flavors. Per 1 Tsp Mix: 15 calories; 0 g sat fat (0% DV); 250 mg sodium (10% DV); 0 g sugars. 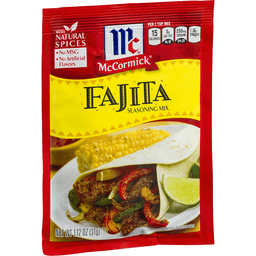 Visit mccormick.com for nachos grande supreme recipe. For recipes, visit www.mccormick.com. Questions? Call 1-800-632-5847. Partially produced with genetic engineering. Packed in USA. Lea & Perrins® All Natural Original Worcestershire Sauce. Same Premium Quality Since 1835. Unwrap the Possibilities®. 10 fl oz (296 ml). Since 1835, Lea & Perrins® has been the one truly authentic brand of Worcestershire Sauce. Aged in wooden casks, Lea & Perrins® uses only the finest ingredients sourced from around the world to produce a flavor unmatched for over 170 years. 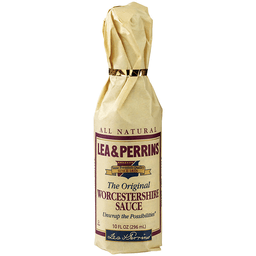 The famous paper wrap: in 1831, Lea & Perrins first began exporting Worcestershire sauce around the world by boat. The lengthy and often rough sea voyages caused some of the bottles to break. The practice of wrapping each bottle in a paper wrap was devised to protect the bottles and prevent damage during transit. Although no longer technically necessary, the custom has endured, and the paper wrap has come to symbolize the rich heritage and premium quality of Lea & Perrins, a tradition dating back to 1835. For more recipes, please visit our website at www.leaperrins.com. Questions or comments Call 1-800-987-4674. 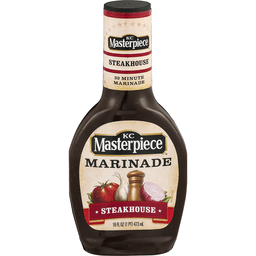 *Lea & Perrins® Worcestershire Sauce contains 65mg of sodium per 1 tsp. serving. The average of the top national brands of regular soy sauce contains 373mg of sodium per 1 tsp. All Natural. A Cholesterol Free Food. A Fat Free Food. Gluten-Free. 80% less sodium than soy sauce*. Open wrap for recipes. Great on beef. 100 calories per 2 tbsp. 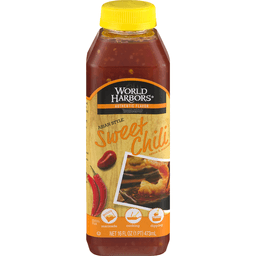 An Asian inspired chili sauce infused with sweetness for a blend the entire family will enjoy! The balance of sweetness and medium heat are combined for a kick of flavor and a variety of uses. Pour over chicken, pork, seafood or veggies. Perfect as a stove top simmer sauce! Great when used as a dip. Brush on during cooking for added flavor. Bringing flavor to life. For marinating tips, visit us at www.mizkan.com. No fat. www.mizkan.com. Made in the USA. Sweet heat. Some like it hot! 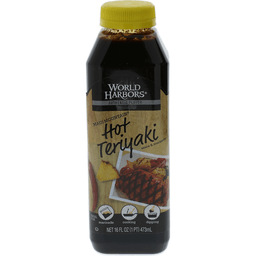 An irresistible splash of pineapple combined with cayenne pepper brings life to the traditional savory soy flavor of teriyaki. Pour over chicken, beef, pork, seafood, vegetables and more! Also great as a dip or simmering sauce! Bringing flavor to life. For marinating tips, visit us at www.mizkan.com or call 1-866-819-2323. No MSG - No fat. www.mizkan.com. Made in the USA. With lemon juice. Natural flavors. No high fructose corn syrup. 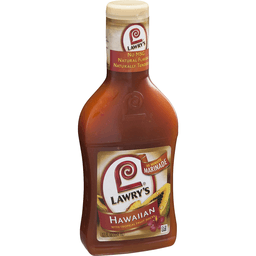 Check out Lawry's website for recipes & tips. 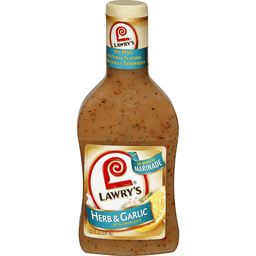 lawrys.com. Questions or comments? Call 1-800-9Lawrys. No MSG (except those naturally occurring glutamates). Tenderizes. Packed in USA. 30 minute marinade. 16 oz: Compare size to leading brand. Gluten free. 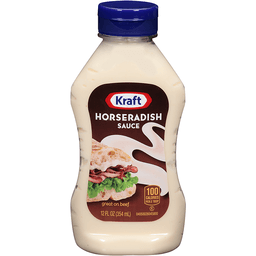 Great With: beef; chicken; pork. Experience a rich and robust steakhouse flavor at home. 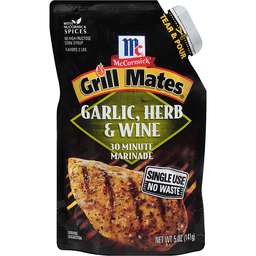 Adds delicious flavor to beef and tastes great on chicken and pork, too! Visit us at kcmasterpiece.com. For meal ideas, visit our website at kcmasterpiece.com. With tropical fruit juices. No MSG (Except those naturally occurring glutamates). Tenderizes. Produced with genetic engineering. For recipes & tips, visit Lawrys.com. Questions or comments? Call 1-800-9Lawrys. Facebook: facebook.com/Lawrys. Instagram: (at)LawrysSeasoning. Pour, marinate, cook! Packed in USA. With McCormick spices. No high fructose corn syrup. Flavors 2 lbs. Single use. No waste. Partially produced with genetic engineering. Comments or questions? Call 1-800-632-5847. For more recipes, visit www.grillmates.com. Packed in USA.